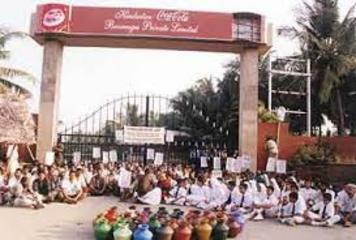 Bottling plant shut down due to drought and pollution, after year-long people's protests and their wells being contaminated and dried up. What justice can be paid after such ecological disruption? Plachimada is a little hamlet in Palakkad District, which is known as the ‘rice bowl of Kerala.’ The majority of the population consists of adivasis (indigenous people). In March 2000, Coca Cola, under its Indian subsidiary Hindustan Coca Cola Beverages Private Limited (HCCBPL), commenced operations at its bottling plant; HCCBPL acquired 34.4 acres of land (mostly paddy fields) for this purpose. On January 25, 2000, the Perumatty Panchayat (a local governing body whose constituency includes Plachimada) granted permission to begin building the plant. In March 2000, operations began. The Kerala State Pollution Control Board (KSPCB) granted the company a permit to produce 561,000 litres of beverage per day, with an average requirement of 3.8 litres of water for a litre of beverage. The source of water was primarily groundwater from about 6 bore wells and two open ponds, and about 2 million litres of water per day was extracted. Within six months of commencement of operations at the plant, the villagers complained that the water was unsuitable for drinking or cooking ; it had turned milky white and was brackish. In the subsequent months, several villagers complained of unusual stomachaches, while farmers complained of wells emptying unusually fast and crop yields decreasing. Corpwatch India, a public interest group, found that there were high levels of calcium and magnesium in the water, caused by excessive extraction of water. On April 22, 2002, the ‘Coca Cola Virudha Janakeeya Samara Samithy’ (Anti-Coca Cola Peoples’ Struggle Committee - henceforth Samithy) began its protest against the plant, with over 1500 people, mostly adivasis, demanding the immediate shutdown of the plant owing to the severe hazard it was causing to their daily lives. One of the founders and well known indigenous activist of the Eravalar tribe was Mayilamma. On August 4, 2002, the Samithy organised a massive rally and public meeting, with over 1000 attendees starting their march from Palimukku, a village 6 kilometres from Plachimada. Veloor Swaminathan, an adivasi leader and convener of the Samithy, presided over the public meeting. He spoke about the experience of the struggle and the sacrifices and sufferings of the adivasis, agricultural labourers and other affected peoples. After this rally, the picketing outside the plant continued unabated. In 2003, women from the Vijayanagaram Colony in the village of Plachimada, protested that their wells had dried up because of the over exploitation of groundwater resources by the Coca-cola plant. They complained that they now had to walk nearly five kilometres twice a day to fetch water. They also argued that the little which was left was undrinkable and when used for bathing the water burned their eyes and lead to skin complaints. Aside form these health issues, the depletion of groundwater resources also affected the ability of local residents to raise their crops of rice and coconuts . Meanwhile, beginning in April 2003, the struggle against the cola giant took a decisive legal turn, which lasted for many years . By 2005, new rules established by the Kerala Groundwater (Control and Regulation) Act had taken effect. On November 19, 2005, the Water Resource Department included Plachimada under the category ‘overexploited’, which prevented any further extraction for commercial purposes. In January 2006, the company began considering ways of moving operations from Plachimada, and no operations have taken place at the plant since. UPDATE 13.06.16: From the Hindu, "Under pressure from the National Commission for Scheduled Castes (NCSC), the Home Department has registered a criminal case against Coca-Cola invoking provisions of the Scheduled Castes and Scheduled Tribes (Prevention of Atrocities) Act, 1989, for groundwater exploitation and pollution at Plachimada. Top executives of Coca-Cola in Kochi and Noida will be summoned soon for questioning. It will be the first major case in India subjecting Coca-Cola to the country’s judicial process. The court can also impose a huge compensation package, if it finds the company guilty. The company is accused of causing damage of Rs. 216 crore in the agrarian village. Over 200 SC community members had signed the petition. As the police failed to act, the victims led by K. Thankavelu approached the NCSC, which resulted in registering of the case." Project Details In 1993 Coca Cola bought 52 bottling and water pumping plants. It produced 1,224,000 Coca-Cola bottles a day in Plachimada plant. 260 drinking water wells were made available to the company. It used 1,5 million liters of water per day and created 150 permanent jobs and 250 seasonal jobs. 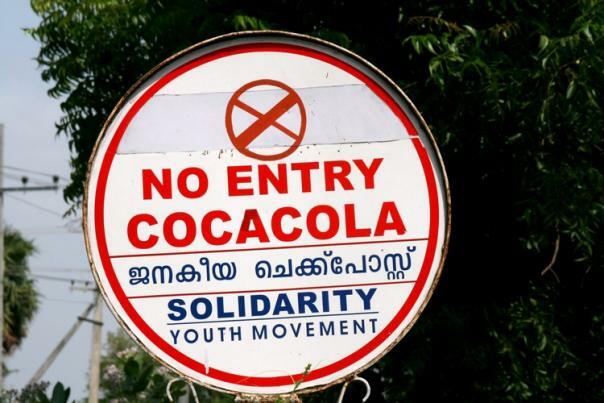 Development of Alternatives The affected population want that Coca Cola pay for all the damage and impacts produced during its activity in Plachimada, Kerala, India. Why? Explain briefly. The Coca Cola plant is closed since 2004. 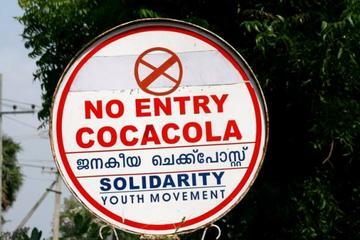 In February 2011, the Kerala assembly passed the Plachimada Coca Cola Victims Relief and Compensation Claims Tribunal Bill, effectively allowing the setting up a special tribunal that can make a $48 million claim on the American beverage giant for alleged environmental and soil degradation, and water contamination caused by its over-extraction of ground water.